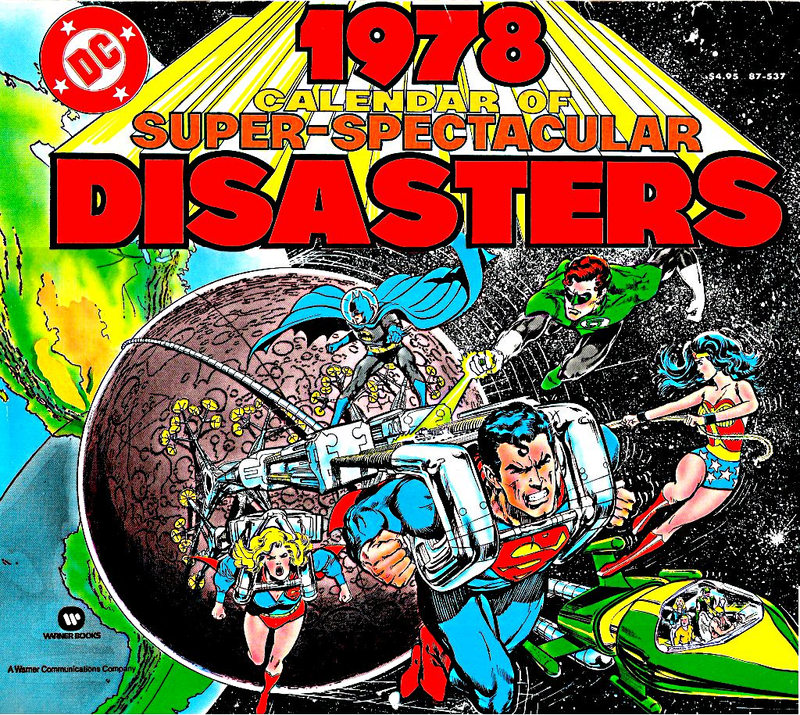 I recently ran across this DC Comics calendar: 1978 Calendar of Super-Spectacular Disasters! LMAO, sounds exactly like we are undergoing the same ordeal 30 years later with Final Crisis and Batman RIP! The cover to the calendar by Neal Adams is spectacular, with Superman and Supergirl hauling the moon to a safer position. But on the other hand, why does Batman need to supervise like that? Checkout Aquaman, Hawkman, Green Arrow, and Black Canary watching the whole thing in the lower right corner from a spaceship. They surely cannot help much, either, unless a school of space dolphins gets in the way. This Metal Men piece is pretty sweet though, another rare occasion where Simonson drew the team. Joe Staton inked him on this piece. 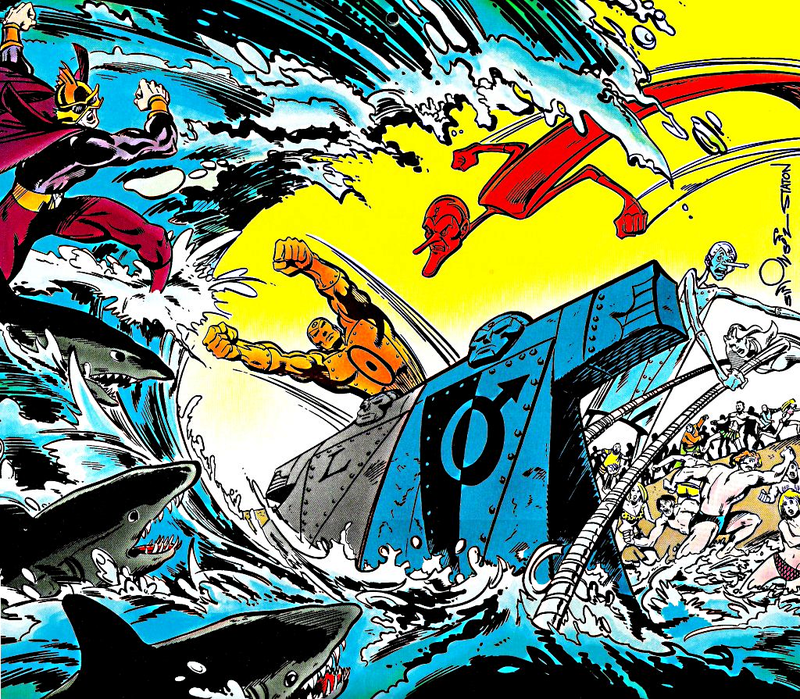 Could someone at DC just give Simonson a truckload of cash to do a Metal Men mini-series? Nuff said.